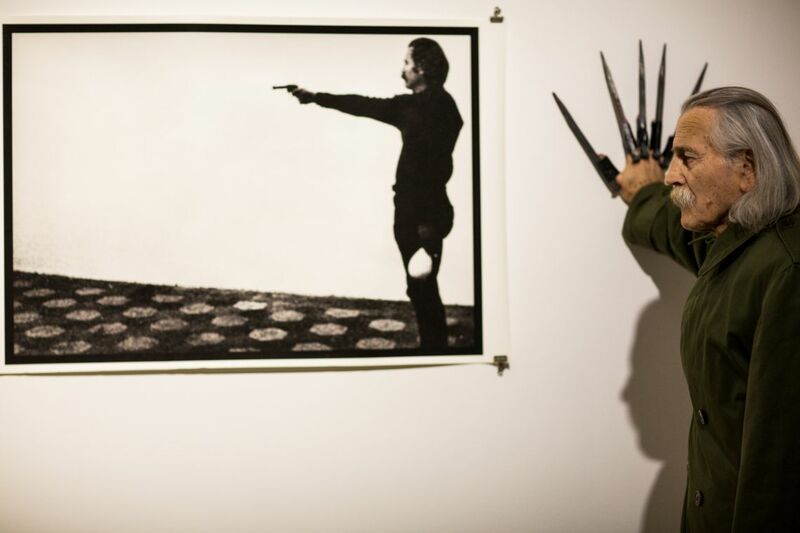 Panoptikon 2012 (-1969), exhibition and live performance. Ilija Šoškić, Panoptikon 2012 (-1969) , exhibition and live performance, and Meet the Artist at the VENICE INTERNATIONAL PERFORMANCE ART WEEK 2012. Images © Monika Sobczak. Born 1935 in Decani, Yugoslavia. Lives and works in Rome (Italy). 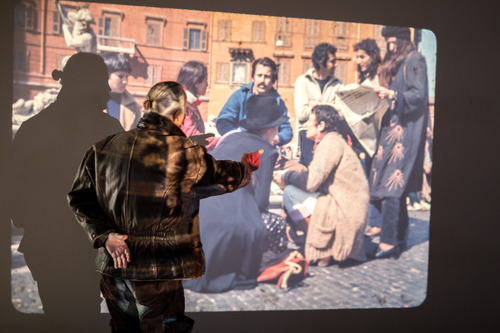 One of the most important artist of conceptual tradition in ex-Yugoslavia, a pioneer in performance, video and installation art, Ilija Šoškić is among the first generation of the new art practices, working in Italy since 1969. His work fuses, on critically elaboration, elements of cultural and political myth (Hero, Venus, PPPasolini), drama of nature (Zygote, After the chaos - egg, Traphos) and metaphysical fiction (S.A.T.O.R., Entscheidungsproblem, Obiter dicta) to illuminate philosophical themes Other, Absence, Nothing. In 2011 he represented Montenegro (national pavilion, in the project MACCO Cetinje) and Italy (Port of Art, Central Europe Initiative Trieste) at the 54th Venice Biennale (2011). At the VENICE INTERNATIONAL PERFORMANCE ART WEEK 2012, Šoškić presents the exhibition Panoptikon 2012 (-1969), including a live performance, and the occasion for a Meet the Artist.